Yamuna is an Indian Actress mostly acted in Malayalam Television Serials and Malayalam Movies. She is noted for her villain/negative roles in serials and character roles in movies. Yamuna as Malayalam TV Actress. Yamuna debuted into the malayalam television through an album song for Onam in Doordarshan Malayalam. It is followed by a telefilm Punarjani. She later acted in many serials like Jwalayayi mainly in negative roles. She now acting in Amma , Amala and Chandana Mazha. Her role as positive character Madhumati, mother in law of the character Varsha, in Asianet serial Chandanamazha is different from the usual villain characters she played in many serials and made her popular. Yamuna is originally from Kollam in Kerala. 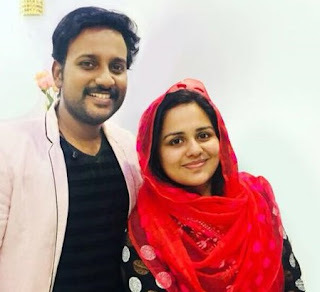 She is married to Malayalam Film director S.B Mahash ( Changathipoocha, MM big father Abhiyum Njanum ). They have two kids (9 and yrs). She took a break of eight years following marriage. Now she is very active as Television and Film actress.